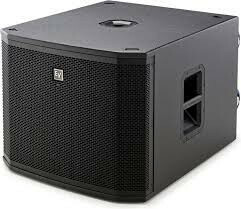 subwoofer will add a warmth and depth of your sound. 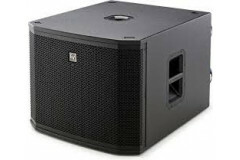 this 15" powered subwoofer with 1800 watts of class-d power with 134 db peak spl. it reproduces frequencies from 32 hz to 180 hz. easily add depth and warmth to vocals and acoustic guitars in an americana setting or djing dubstep.